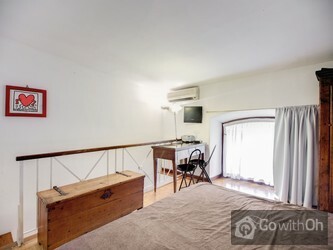 This apartment is located in the heart of Rome, in one of the capitals most characteristic areas, rich with history and historical monuments. 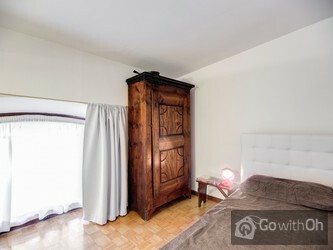 The excellent location will allow you to comfortably reach all of citys main places of interest. 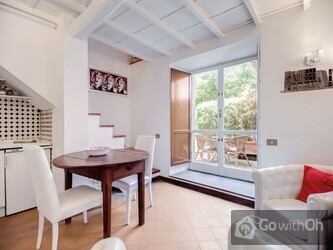 This comfortable 35m2 duplex apartment is designed to comfortably accommodate up to two people and is situated on the ground floor of a converted 16th century convent close to the Isola Tiberina. 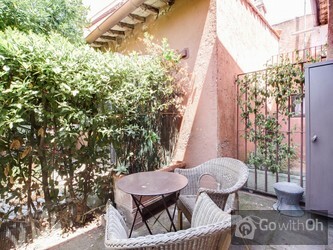 The apartment is spread over two levels and is accessible via the beautiful private garden, a little corner of paradise furnished with a table and chairs where you can relax after a long day of sightseeing around the capital. 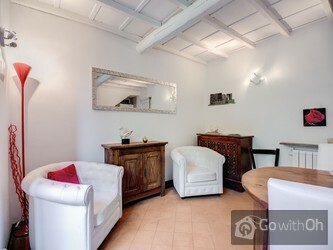 You enter the apartment through the tastefully decorated living room where the antique furnishings and the terracotta tiled floors give it a romantic and cosy feel. The living room features two armchairs, an LCD television, a table and chairs, and a well-equipped kitchenette that is ideal for preparing your meals in comfort. 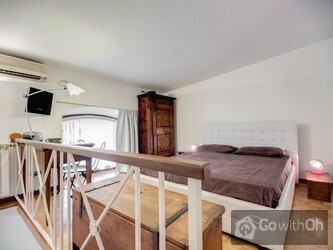 A wooden staircase will allow you to reach the upper floor where you will find a spacious bedroom featuring a double bed and a beautiful antique wardrobe. 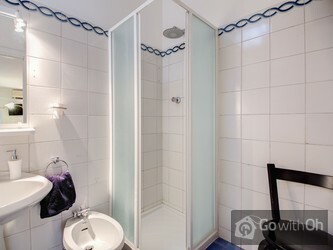 On the same floor you will also find a bathroom equipped with a box shower. 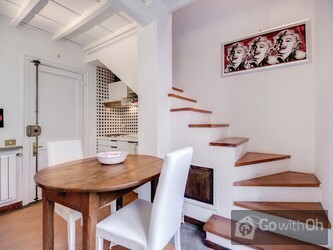 The apartment also features a free Wi-Fi internet connection. Check-in between 15:00 and 19:00. Late check-in between 19:00 and 00:00 subject to an additional charge of 20. Muy bien situado, a 3 minutos del Trastevere y a 3 minutos del Campidoglio y el Foro Romano. 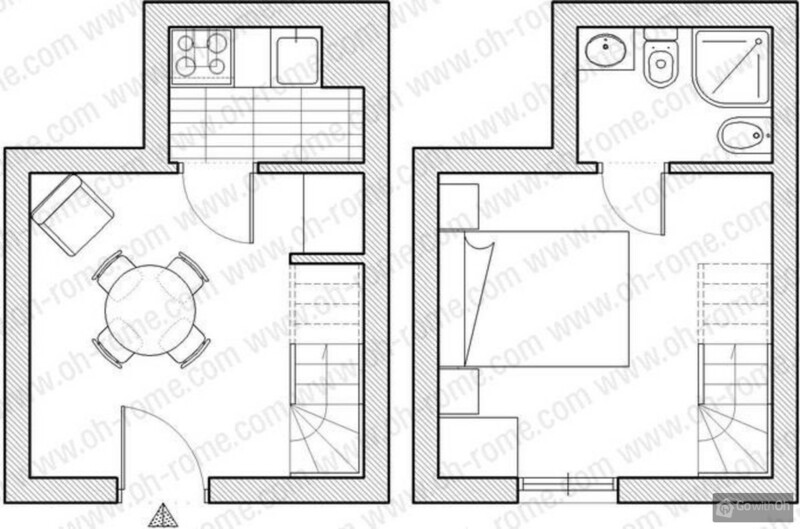 Apartamento muy tranquilo, bonito, y sus propietarios, E. y A., un 10. Kontakt mit A. und E. via Email war perfekt. Wir haben auch einen Taxiservice über sie gebucht. Hat super geklappt! Perfekt! Die Lage des Apartments war aus unserer Sicht super. Sehr idyllisch. 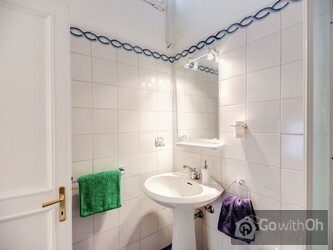 Immer wieder gerne beim nächsten Besuch in Rom! 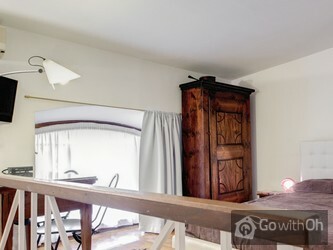 Situation parfaite , appartement dans les dépendances d'une ancienne église dans un cadre fantastique . 0 deuxd pas du forum et du colisée , proche de tout , egidio super accueillant , serviable et à l'écoute . Séjour au top du top ! De ligging van het appartement in het historische centrum is fantastisch. Het terras in het groen en lekker rustig een heerlijk extra. Bel appartement situé au centre de rome très tranquille. Nous avons visité rome à pied. 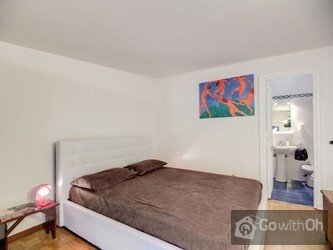 Le lit est très confortable, à l'arrivée une bouteille de vin et des pâtisseries nous attendaient.Un petit bémol, l'eau chaude dans la douche et un linge pour essuyer la vaisselle. Bon séjour! 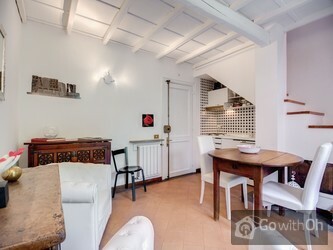 The apartment is superbly located in a beautiful setting within the walls of an old convent. 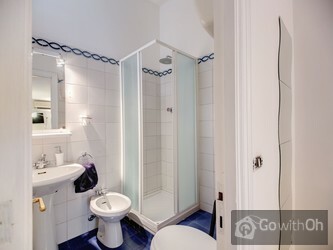 It is comfortable and was perfect for our needs, set right next to the forum and an easy walk to all the sights of ancient Rome. The only downside, and this might have been something to do with it being ...towards the end of high season, was that the apartment is looking very tired. It is in need of a fresh coat of paint everywhere and the shower room and kitchen area need some attention. (fridge) It is something that can be very easily rectified. for a free weekend I will come over and do it!!! 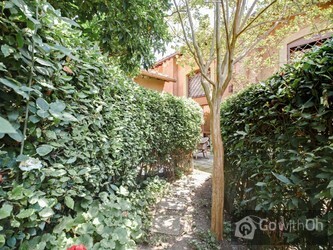 Nuestra estancia en Roma fue maravillosa! El departamento y la atención recibida por la persona de contacto fue excelente ! Cubrió nuestras expectativas ! Sin duda volveríamos al mismo lugar ! 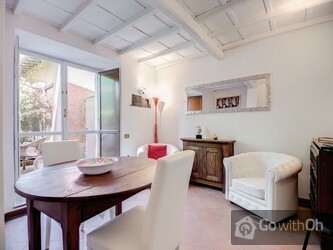 Fantastic location, close to the forum and we walked to all the famous sights from the apartment. Nice, quiet ambiance and you really feel part of the surroundings. Facilities are not modern, but more than adequate. Would definitely stay there again.